The drone has swept the world like storms. Are you trying to get into this growing craze? 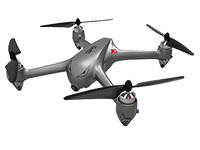 Are you longing for a drone that can guarantee you a satisfying experience without committing big money? 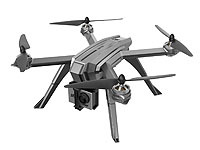 Well, Alibaba has chosen MJX Bugs3mini as one of the best drones that they would recommend to buyers. And you? 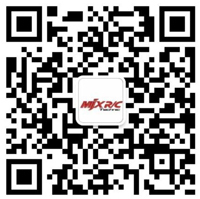 Then Jeff Krapf, the famous NBC TV host & live even announcer will tell you why Alibaba chooses MJX Bugs3mini. 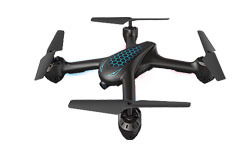 Bugs3mini, an indoor and outdoor racing drone, is extremely fast, agile and can do all sorts of maneuvers pretty easily. In addition to the normal stabilized Angle Mode, Bugs3Mini also matches with the popular Acro Mode. In this mode, it doesn’t level the aircraft automatically but always requires manual control during flight and it is great for acrobatics such as flips and rolls. 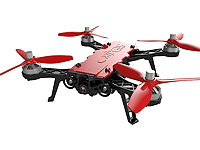 Bugs3mini is a lightweight and portable drone with only 195 grams weight and 175mm diagonal. 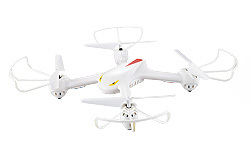 Powered by 2S (7.4V 850mAh 45C) battery and combined with 1306 2750KV brushless motor, which support maximum flight time to 10 minutes. All of this make Bugs3mini hit the spot for sure! 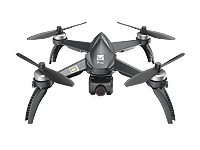 Designed as an entry-level drone and aimed to be easy-to-control, Bugs3mini provides you the best flight experience even if you’re a beginner. If you are not quite ready to invest in a premium model just to crash it until you work out the kinks, then the MJX Bugs3mini is a good model for you to start. Optional 5G WIFI camera C5007 can be installed on Bugs3mini. The Bugs3mini will be unveiled ceremoniously at Alibaba’s March Expo. 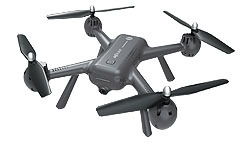 Don't miss this drone! It must be right for you!